Successful burglars have lots in common — homeowners who unwittingly give invitations to robbery. Here’s how thieves thank you for your generosity. 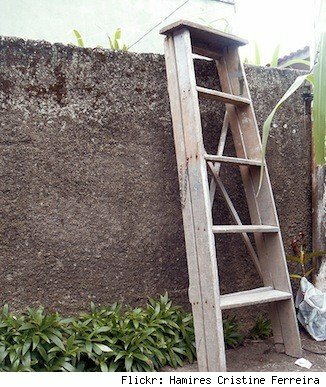 Call me a social climber if you will, but I did discover a ladder in your backyard. Thank you for leaving it where I could lean it against your home and easily reach a second-story window. I really love it when upper story openings aren’t wired to a home security system! You’d be surprised how many homeowners position a mirror in their entry hall so I can see from a window if the alarm system is armed. (Yours wasn’t, but I’m guessing you know that by now!) Thanks for taking a lot of pressure off of me. Where are you? When you use popular geo-tracking apps, such as FourSquare and Glympse, I might know if you’re not home. Websites such as www.pleaserobme.com help me keep track of your whereabouts. Did you know that some large U.S. cities are averaging one so-called “robbery by appointment” per day? If you want to sell high-ticket items to strangers, I suggest you arrange to meet at the parking lot of your local police station. I definitely won’t show up, and you’ll still have your valuables (and your purse! ).